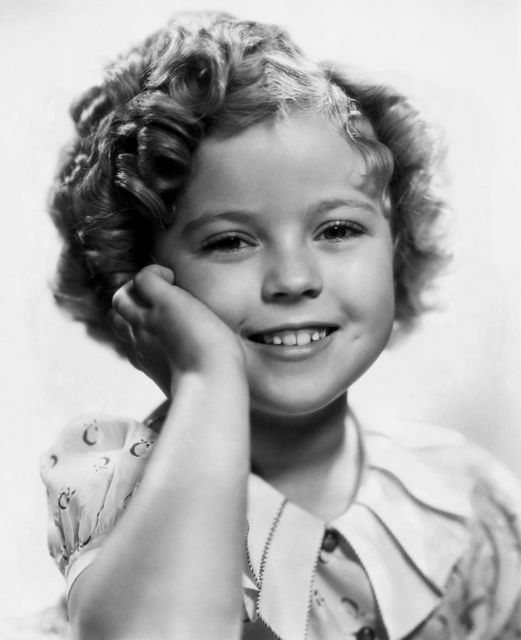 Shirley Temple Black, the darling of Depression years and the most famous child star ever in Hollywood history, passed away last night at the age of 85. 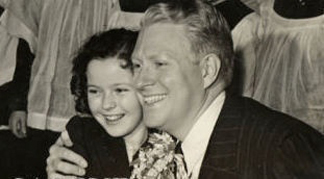 Shirley Temple’s life story is well known – she was a child star who, as an adult, used her fame to help others…but the Nelson Eddy connection may not be so well remembered. Shirley herself referred to it in her autobiography. Nelson was working with her the night of her radio debut and also the night she was almost killed! The date was December 24, 1939. 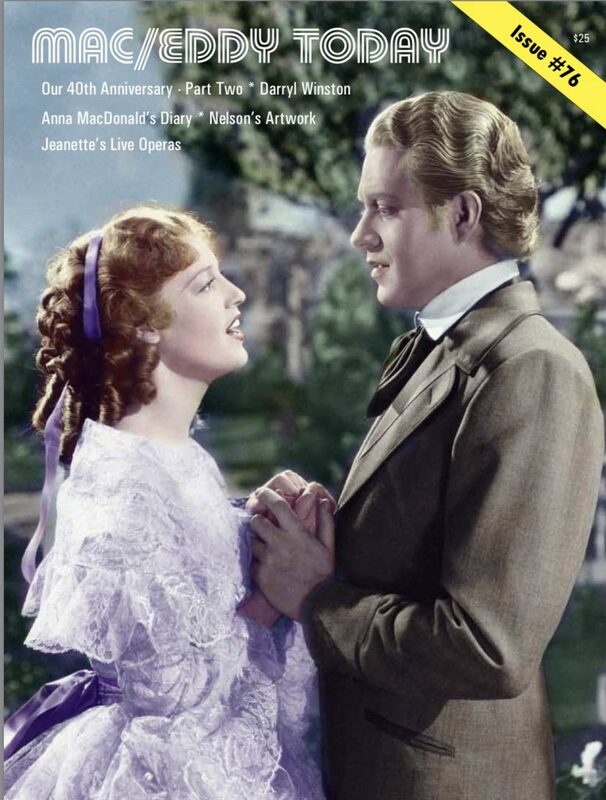 Nelson was the host and narrator for the Screen Guild presentation of “The Blue Bird,” young Shirley Temple’s radio debut. During this live broadcast, a mentally unbalanced woman stood up in the studio audience and aimed a gun at Shirley. The woman was hauled away before she could pull the trigger… Amazingly, both Shirley and Nelson had a “show must go on” attitude and they continued the program without a hitch. Near the end, Nelson and Shirley sang a duet of “Silent Night” and he gave her a protective hug as they smiled for the cameras. 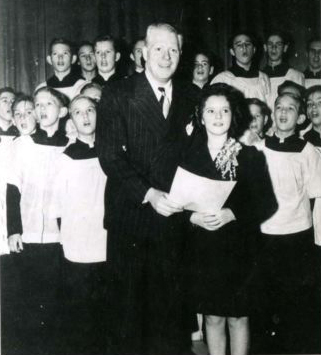 Many celebrity teenagers go through a bratty or rebellious period…but not so many in fully recover, or transition into their adult lives with the grace, optimism and good deeds that Shirley Temple displayed. Her last major public appearance was receiving the SAG Lifetime Achievement Award in 2006, and she was just as bubbly and gracious “in person” as she appeared on screen all those years ago. You can watch a video clip of it here. Our very best thoughts and wishes go to her family and friends…and to all of us who mourn today and feel she was a national treasure and “one of our own.” For several generations, whether you saw her films in theaters or on TV, she was a part of our childhoods.